The closed upper surface of SafeTopChain conveyor chains from Flexon guarantees the safe transportation of individual items and workpiece carriers in conveyor systems. The chains can be used in industrial automation or logistics systems, the packaging industry, the manufacturing of food and bakery products, the pharmaceutical industry and the automotive industry, etc. In order to avoid the risk of damage to conveyed goods or injuries to line personnel, conveyor systems must comply with strict safety standards. At the same time, systems must also be highly flexible and capable of three-dimensional movement. iwis developed the new Flexon SafeTopChain to fulfil all of these requirements. 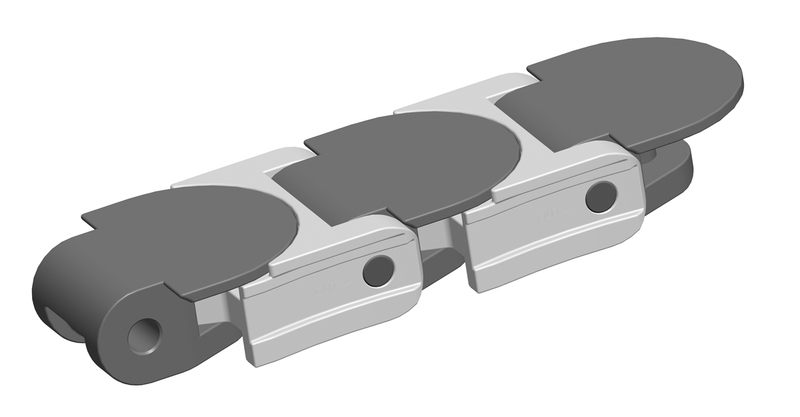 The chain is designed so as to present a completely closed upper surface in curves, thus reducing the risk of crushing in curves or deflections and offering maximum stability for products and workpiece carrier systems. Thanks to this special surface, even the smallest parts can be transported risk-free. 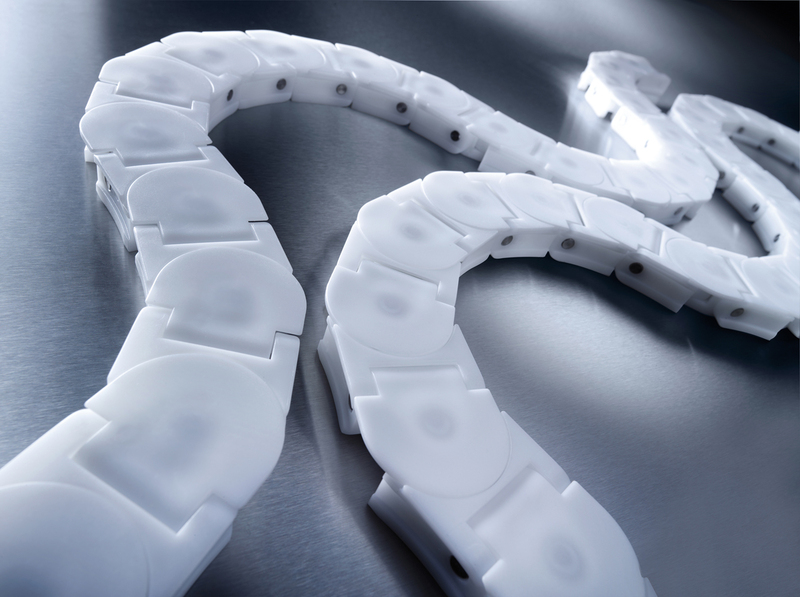 The SafeTopChain runs in the same guides as the normal plastic multiflex chains from the 1700 Series. By using turning disks with a minimum radius of 123.5 mm, dynamic friction is replaced by rolling friction, which in turn allows longer conveyors with more curves, as well as vertical/spiral conveyor systems to overcome gradients and provide buffering. Wider sprockets with improved chain geometry reduce wear by lowering surface pressure when teeth engage. Flexon SafeTopChains are available with a pitch of 75mm and a width of 55mm.